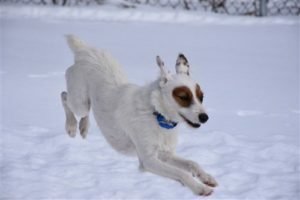 It’s been a while since we’ve reached out and connected with our supporters and adopters, but the rescue has been so extremely busy that when the day ends it’s almost impossible to keep working on the computer just because so many of the jacks need us and they are our priority. This March has been absolutely miserable, the three major no’r easters, back to back, has taken its toll. All of our time has been spent managing the more than 2 feet of snow with each storm and final count of more than 6 feet before mid March. 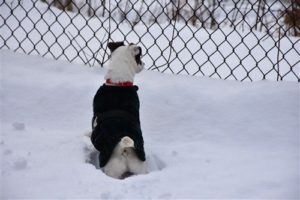 We still have a good 1-1/2 feet at the end of March, despite the occasional day with temperatures hovering close to 40. 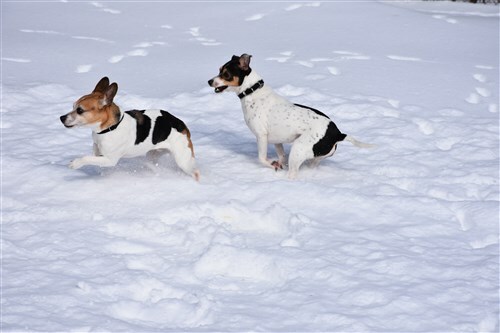 Most important of course is how do you keep the dogs out of trouble so they are mentally and physically busy? Winter is always the toughest time for us to make sure that all the jacks get out, keep their minds and bodies active and of course most of all keeping them happy while they are waiting for their forever homes. Every day, no matter the weather, we get these jacks outside. If the roads are too full of salt, the snow is too deep for us or the dogs to walk through; we always make sure that we have the agility field snow blown and paths cleared for them to walk on the property. 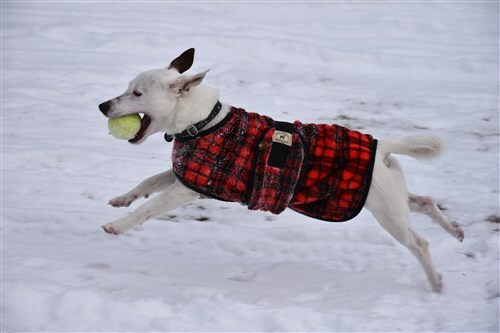 Having the zoomies, playing ball, or just chasing each other is one of the favorite pastimes of all the jacks here at the rescue when it gets cold. 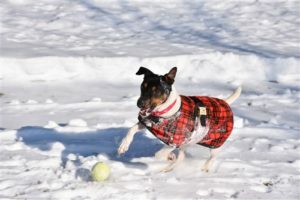 If we don’t have to bundle them up because the sun is out they enjoy that even more; but we make sure if it’s cold they are all tucked in tight with a warm fuzzy Foggy Mountain dog coat. 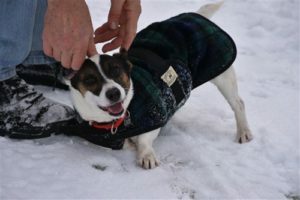 Enjoy some of the antics and the happy times the JRTs spend with us playing out in the snow; or if there’s a melt and some of the grass appears, of course rollicking in the mud is quite fun too! We’re hoping that spring will come soon and will be able to take long rambling walks again with the dogs. 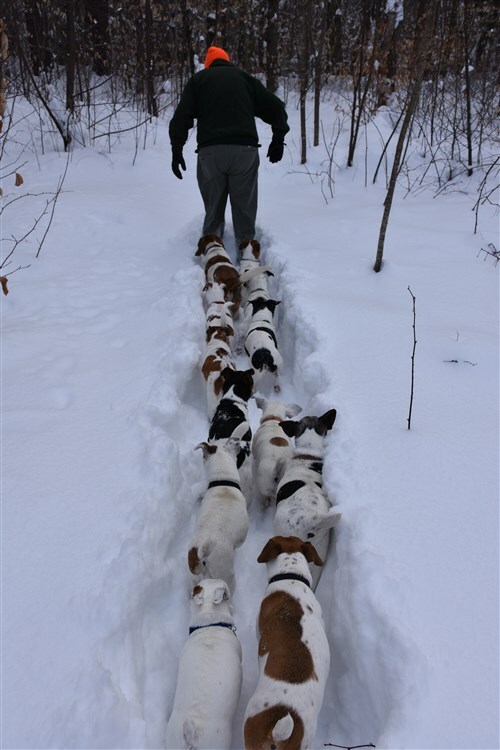 We certainly did still manage at least two or three times a week to pull off a 2 or 3 miler if there was enough snow on the side of the road or it was hard enough in the woods so that we could walk them on their favorite paths. We are sure April will bring more sun, melting snow and warm comfortable days. But most of all we hope that spring brings many jack rusell forever homes!! !